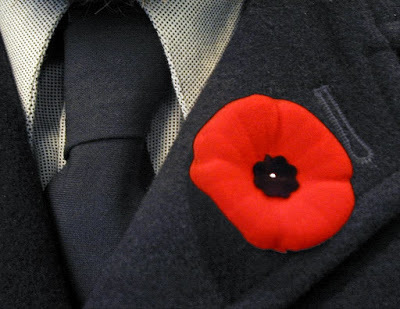 To mark Remembrance Day this year, Douglas College held a poetry contest. Students were invited to submit original and unpublished poems in English, on the themes of war and peace. The three winning entries below were selected by a panel of instructors from the Creative Writing Department. Projected on the darkened and shadowed buildings of Parliament Hill. Or what it once was. I find myself clothed in darkness, in the absence of the moon. I wait for the signal, for the flare to rise and illuminate the shadows. One. Two. I am hidden among the shrubs and the length of the trees. Three. Four. I held my rifle next to me, against my body. Safe off. Ready, lock and loaded. Five. Six. My ears picked up the sound of movement a few yards away from me. I raised my rifle, ready to shoot. Seven. Eight. Or, a shot to the heart for an instant death. Nine. But I could not take the shot. My finger would not pull the trigger. But my eyes would not leave the sight of this little boy in the middle of the woods. Ten. I had not noticed that I had lowered my rifle. I walked towards the child, crept towards him and stopped short. “Go home. It’s not safe here,” I said. I wonder what everyone else is thinking, everyone’s eyes are shut. game we play at recess. I always lose. I think my finger is bleeding. like pinching them. I wonder where my poppy is hanging in the gym. by her house. Who is “they”? My mom says that the soldiers are in heaven now, with the angels. in my ears. I can’t stop. My tummy hurts. The minute of silence is over. the stories of their time in far lands. or being pinned down by sniper fire in the Balkans. He might even lean in with a sly smile and tell you softly of the woman he met in France. teeth that had not chewed food in the last two days. As he is rubbing frozen fingers together, the thought of mom in the kitchen and dad by the fire brings a slight smile to his lips just as the bullet enters his brain. The 18 year old who was crouching beside him sees his friend who was only 17 slide down beside him and stare at him with lifeless eyes. He will live to tell his grandson of this moment, the moment his Brother never had a chance to become someone’s grandfather.